3.Under Entertainment section choose movie which you want to book. 4.In Upper right side there are Location symbol (besides of Login/Sign up),Click on it and choose your city in which you want to book ticket. 5.Below Movie Banner Select Movie Date when you want to see movie. 7.Next select minimum 2 seats,select chair. 10.Now your 1 ticket price will get discounted. 11.Pay the remain amount with any suitable payment option. 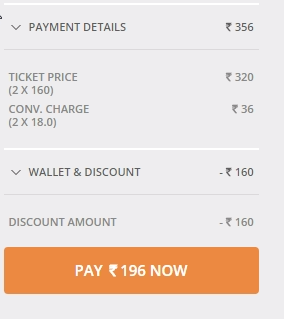 Note : If 1 ticket price reduced even your cart value is 250 or more then pay with payumoney and apply FRIEND100 Coupon on payment screen for 100 more discount.Click here to create Payumoney account,choose "I am buyer",Enter your email,mobile number,password then submit it for sign up.Now you can apply FRIEND100 Code for 100 more discount in payumoney. 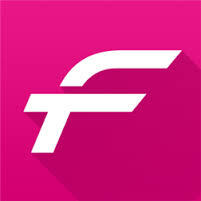 12.Offer Valid for All Fastticket Users till 31st October,2015 . 13.Enjoy Your Movie !! And Keep Visiting.